Shutters are a marvelous choice for any home remodeling project in Norco. They add privacy only when you need it, insulate the windows, and add to your home’s aesthetic style. If you’ve been looking around for the perfect shutters for your Norco home remodeling project, here are three great picks that would definitely upgrade your home’s style and add value to your property. 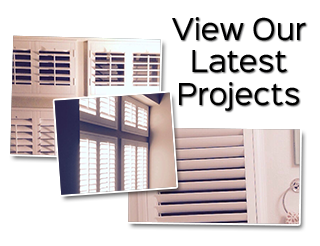 If you want to see samples up close, call our Norco shutter company for a free in-home consultation! Classic hardwood shutters with wide slats have been in style since they first appeared on the windows of southern plantations. Even the Greeks used shutters, though theirs were made of marble, not hardwoods. Plantation Shutters are still a marvelous choice for any style home in Norco. However, you may have heard the term, “California Shutters,” which is often used in our state instead of Plantation Shutters. They work with any décor and are available in styles with hidden tilt systems that offer contemporary clean lines. 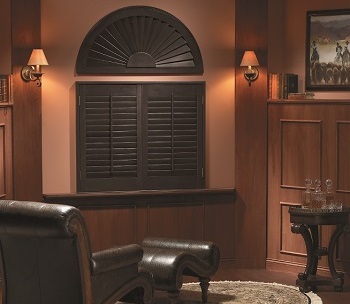 Polycore is a faux wood shutter made of PVC and an aluminum core to reinforce the strength of the shutters. They are made in the same Plantation styles to go with any style home and come in an array of colors. The color is not painted on but rather infused into the surface during manufacturing. Polycore shutters are great for homes with kids and pets. They are very durable and easy to clean. Plus, they insulate the windows very well, perfect for windows bathed in direct sunlight. Motorized shutters are really great if you want to control the operation from anywhere. You can open and close the shutter slats anytime you want with a handheld remote or with a smartphone app. Motorization is available when you order custom shutters from Norco shutter companies like us. Don’t worry about the installation, we install the wireless technology of your shutters for you. If you are looking for quality shutters in Norco, CA and nearby, please call Luv R Blinds at 951-736-9650 or complete our online request form.